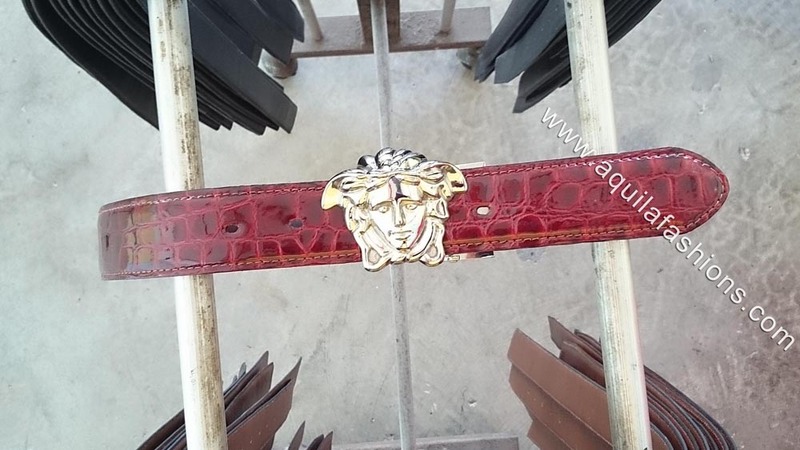 Need a leather belt strap without buckle for your Versace medusa head belt buckle? This customer came right in with this beautiful buckle. 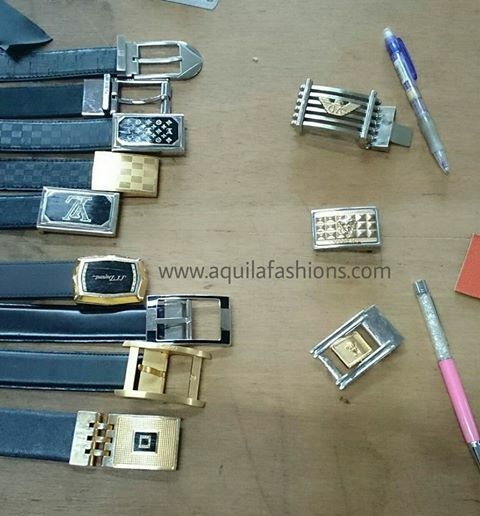 She almost setteld for a plain black leather belt for but finally decided on something more spectacular! Glossy count dracula red faux crocodile full-grain cow-hide belt! One German gentleman, twelve buckles! required time and specialized work. Thank goodness we told him to leave first!